If you and your family cut your own Christmas tree each year, the Christmas TreeTransporter will help you easily and securely haul the tree on top of your car. This reusable carrier protects the roof of your car from scratches and sap, plus it makes the tree easy to carry. Learn more about the Christmas TreeTransporter Kickstarter campaign here. Countdown to Christmas with a box of twelve gorgeous, artisanal chocolates from Salt Confectionery. Each box contains a dozen handmade chocolate pyramids made from premium Belgium white or dark chocolate and includes flavours such as strawberry, matcha, Oreo, and almond macadamia. Yum! If you love chocolate as much as we elves do, back this campaign today! The ToyTree is a Christmas tree designed specifically for babies and toddlers. This expandable tree is a safe, fun, and educational toy that includes lights, music, and toys, so it would be perfect for the home, Sunday school classroom, or daycare. Get your own ToyTree by donating to this campaign. Handmade using a variety of woods—such as zebrano, oak, ash, and alder—these holiday cards feature accents of beeswax, copper, and watercolour. With 3D and movable elements, these cards are small works of art. 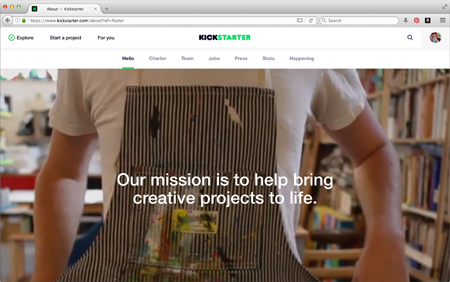 Back this artsy Kickstarter project here. Looking for a modern take on a Christmas tree? Then check out the One for One Christmas EcoTree from MIO, which has a fun and unique tool-free, hardware-free, modular design. Made from recycled, FSC-certified cardboard, the EcoTree is easy to assemble and store. 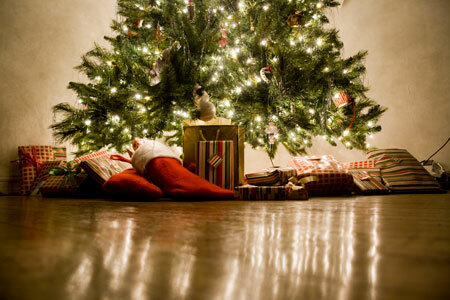 What’s more, for every tree sold, MIO will donate a tree to a family in need via Toys for Tots. There’s still time to get an EcoTree for this holiday season, so back this campaign today. Raymond the reindeer and I both LOVE London—we’ve travelled there together a few different times over the years. Understandably, I have an affinity for Heathrow Airport, so I especially adore this heartwarming video from LHR about loved ones reconnecting over the holidays. Watch below and get ready for some warm fuzzies. It’s Christmas Eve, and we couldn’t be more excited! The day we’ve been anticipating all year is almost here! I’m sure tomorrow morning you all will be thrilled to see what prezzies Santa brought for you and your family. After the wrapping paper settles and your gifts are stacked in glorious piles, consider taking a moment to reflect on all that you have to be grateful for. And I don’t mean the presents that you’ve unwrapped (although, certainly be grateful for those, too! ), but rather the intangible things and the “small” things that we can often take for granted. This includes things such as expressing love and appreciation to your family or acknowledging the support of a special friend. I have heard of gratitude being compared to a muscle. When not used often, it’s weak, and it might feel a bit awkward when you try to use it. But when exercised, it grows, and over time it becomes easier to flex that gratitude bicep. Plus, when we become more grateful for what we already have (or for people as they already are), we also become happier and have more joy! Reflect on the past year’s events. Does anyone come to mind? Is there a friend or mentor who has been there for you during a tough time? Think back over this past month. Has a friend or neighbor extended a helping hand this holiday season? Consider this past week. Has your significant other or a coworker been especially supportive as the holiday week mounts? Write a thank you card, leave a note on a chalkboard, or send a text message and let someone know how much they mean to you. Do you have any other suggestions for spreading gratitude? Let us know in the comments below! 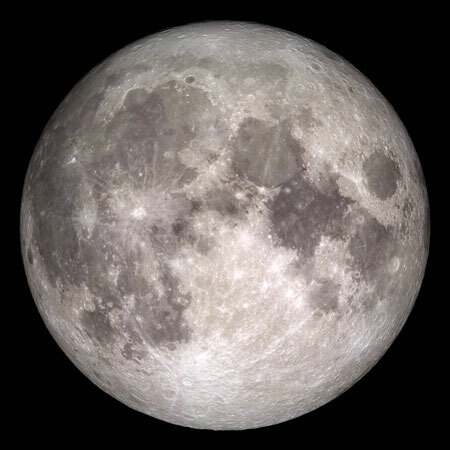 Many of you might be sleeping at 6am on Christmas morning, but the rare full moon is a good reason to get up early… even if you go right back to bed for a few hours. 😉 It’s been 38 years since the full moon occurred on Christmas day, and NASA predicts this won’t happen again until 2034. The moon will reach its peak at 6:11am ET. Whether you crawl out of bed early Christmas morning or try to catch a glimpse of it before you snuggle under your covers on Christmas Eve, make plans to see the full moon. So, go ahead and mark your calendars or set a reminder in your phone so you don’t miss this extraordinary event! I’m a huge fan of Disney’s animated films, and even though I’m not a child anymore, it doesn’t stop me from enjoying movies like Frozen. The chipper tunes and clever lyrics especially bring a smile to my face! (And I’ve been known to belt out some songs, too. I’m not the only one, am I? ;)) If you share my affection for the story of Anna and Elsa, I’m sure you too will love these videos of Christmas lights synced to Frozen songs. What’s your favorite Frozen song? Let us know in the comments!